Fear can easily rob you of your peace and happiness. Although fear has a useful purpose, it can immobilize you and keep you from moving in the direction God has for you. 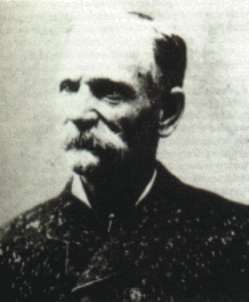 Black Bart, his name stirred terror in the hearts of those who heard it. His name had become synonymous with the dangers of the frontier. Of the 29 stagecoaches he robbed (1875 - 1883), he never fired a shot. He didn’t have to; just the presence of this hooded bandit paralyzed his victims. In reality, Black Bart was a paper tiger. There was no valid reason to fear him. Although he had the appearance of someone who was dangerous, he was harmless. Do you know anyone like that in your life? Is the accuser of your heart walking around with an empty gun? 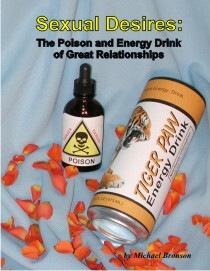 Are you being terrorized by a paper tiger? What do you fear? What do you find terrifying? There is nothing wrong with fear, in and of itself. It is one of our many emotions and it serves a purpose. In terrifying circumstances, it provides us with adrenaline that strengthens us. Fear alerts us to danger and hopefully causes us to think twice before doing something stupid. Although fear is a legitimate emotion that serves a purpose, it can also be very disruptive. As we saw with Black Bart, fear caused people to surrender needlessly. Fear can distort your judgment and thinking. It can paralyze and even result in death. This is why a six-foot tall person can fall out of a boat into five feet of water and drown. In this situation, the victim does not realize he can touch bottom and starts to panic. As a result, he thrashes around and eventually consumes all of his energy and sinks. Are you embarrassed by your fears? I think most of us are secretly ashamed of what frightens us. We often condemn ourselves for not being a stronger person. Unfortunately, fear is seldom rational or logical. The only thing predictable about fear is its unpredictability. You can have a cop who is not afraid to mix it with violent criminals, but is terrified of spiders. You can have a timid five-year old girl who’s afraid of the dark, but is completely at ease playing with spiders. Life is full of its comical ironies. Do you ever find yourself admiring someone else’s courage, wishing you were more like them? Let me set the record straight. A lack of fear is not courage. Courage is doing what is right despite the fears raging within your heart. A person who says he is never afraid is either a liar or a fool. Heroes are usually ordinary people, like you and me, terrified by the impending danger. The only difference is, they choose to do what is right despite the danger. These people get their strength by utilizing the energy of their fear. They make fear work for them, instead of against them. Many forms of martial arts utilize this technique. Instead of trying to fight against the force of the aggressor, you use his own force against him. For example, when an aggressor moves toward you, you don’t try to stop him because this would take too much energy. Instead, you move to the side and deflect him, using his momentum to make him move away from you. This is why a small person can defend himself against a large, powerful person. It isn’t the presence or absence of fear that defines who you are. It is the way you respond to the fears you have. Granted, it would be nice not to be plagued and bothered by irrational fears. The bottom line is this: Fears may encompass you, but they should never control you. The biggest problem of fear is it can prevent you from accomplishing what needs to be done. It can rob you of the joys, blessings, and rewards that would be yours if you followed God’s leading. 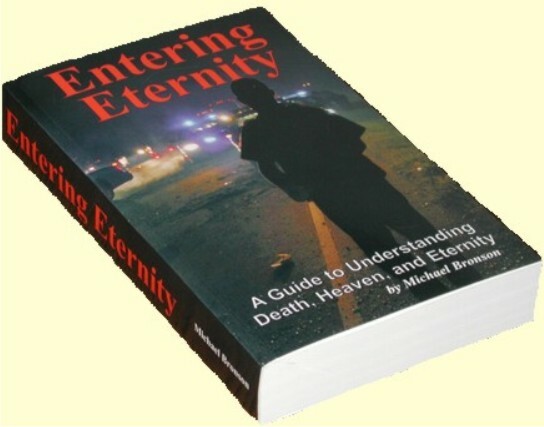 More tragically, it may mean people are needlessly going to Hell because of your inactivity. Maybe a person is refusing to be a missionary because he is afraid of snakes. Maybe a person is refusing to go into the ministry because he is afraid of speaking in front of people. Maybe a person doesn’t witness because he is afraid of what others might think. "Fear of failing" is probably the most common fear. Has the fear of failure kept you from pursuing your dreams? Has the fear of falling short ever kept you from even trying? Remember, if you don’t do something because you are afraid of failing, you have failed already. The military conducted a study to determine what scares us the most. They found we are frightened more by the unknown than by any other tangible object or event. They found people would rather face a known adversary of great strength than an adversary of unknown origin and danger. When you know what your adversary is, you can at least try to prepare a defense. There is no adequate defense for the unknown. The reason why the unknown terrifies us so much is we usually assume the worst. We play head games with ourselves. For example, if we have an unusual pain, we might think it is cancer. If we have a sudden loss of motor skills, we think it might be Multiple Sclerosis. Our minds have an incredible ability to fill in blanks. Since so much of life is unknown, there are a lot of blanks that need to be filled in. Unfortunately, our minds often do a poor job filling in the blanks. For example, think about a major endeavor you would like to pursue. Chances are there were many unknown variables. If you are not careful, you will start imagining the worst about these unknowns and begin to convince yourself not to pursue this endeavor. Fear is the predator of our peace. There is no way you can live a victorious life if you are frightened and intimidated by paper tigers. Ultimately, gaining control over fear is a matter of choice. Gaining victory over your fear does not mean you are no longer frightened, it only means you are no longer controlled by it. Many of you reading this book have lost a loved one. This loss is usually accompanied by a certain amount of grief and sorrow. If the one who died had Christ as his Savior, his death is only a temporary loss. However, for those who do not have this blessed hope, the death of a loved one can be incredibly bitter. If the dying person has no hope, his last few days or hours can be a terrifying experience. The next chapter, Fear of Death, deals with overcoming the fear of death. Don’t let your fears rob your heart of its peace. The fantastic video series for kids, Veggie Tales, has a song called "God is bigger than the Boogie Man." Yes, God is bigger than your greatest fear. Remember, Immanuel means "God with us," and He is with us even when we are facing our greatest fears.